Hey there! Thanks for dropping by Bipolar Lessons! Take a look around and grab the RSS feed to stay updated. See you around! I am very pleased that Pastor Rick Warren is helping to take the lead in getting rid of the mental health stigma within the Christian culture. Warren, who is the best selling author of The Purpose Driven Life, lost his son to suicide. 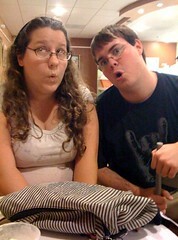 He is now opening up a dialog within the Christian community about mental illness. Warren, founder of Saddleback Church will team with the Roman Catholic Diocese of Orange and the National Alliance on Mental Illness to host a daylong event next month focused on helping church leaders reach parishioners who are struggling with mental illness. Many pastors and church counselors have zero training in mental health issues and can do a lot of damage to the faithful. My own experiences within the church has not been helpful. 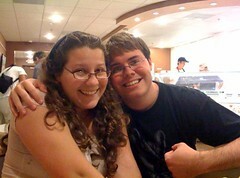 When I was sixteen I was told by a church counselor that I just wanted attention when I told her that I felt suicidal. Fortunately my parents were smart enough to get me to a real therapist. The other mantra that churches often use is that taking medications means you do not have enough faith in God and that you are an “addict.” There are actually very few psychiatric medications that are addictive. Addiction is defined as taking more than prescribed due to tolerance to the medication’s effects. Sleeping pills and tranquilizers have abuse potential, but medications for depression, mania and psychosis do not. So there is no such thing as a antidepressant addiction and it is not designed to make people “high.” When people tell you that you are addicted to antidepressants ask them what the street value of Cymbalta is? The answer: Zero. There are plenty of well-meaning Christians who give disastrous advice. One of the most hurtful things is when they say that depression is a sin. One of the hallmarks of depression is guilt. So all they are doing is piling on more guilt and depression on that person! And the big one: Suicide. I believe with all my heart that we need to have compassion towards those who have attempted or succeeded at suicide. It isn’t up to us to judge someone’s heart. Most of them do not intend to hurt others and in fact often believe that they are a burden and that everyone else would be better off without them. I cannot even begin to explain to others the thoughts that have gone on in my mind when I attempted suicide. A minor argument that I could have easily resolved by my apologizing became a reason to punish myself. I can emphatically say that I was out of my mind at the time, because I would not have done that in my normal frame of mind. And there was also nothing else going on in my life to trigger my depression. While I am sad about the tragedy of Rick Warren’s son’s death, I hope that this will help shed light on traditional Christian attitudes towards mental illness and inspire pastors and counselors to learn more about how to help those who suffer from devastating mental illnesses. 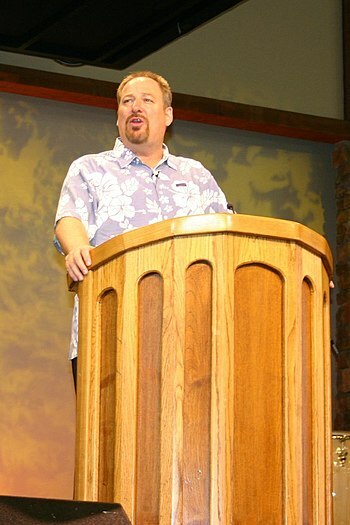 To find out more about what Rick Warren is doing read here. Since this is Mental Health Awareness Month I”ve decided to gather some information and resources. First off, I am doing a shameless promotion for the organization that I used to work for, Mental Health America. In my neck of the woods they have a homeless assistance program, psychiatric care, therapy groups and a program for teens and young adults. They also have a peer-run mental health center, which is where I used to work. Not all locations have this, but those that don’t often have support groups in the community. You can find a location in your area here. There is more information on resources and what they are doing for Mental Health Awareness Month here. These are just a couple of organizations that can help. I am planning on making this a series because I would be writing a very long post if I want to include every organization! Before you go I want to remind anyone who hasn’t seen my first post in this series to take a look. Cons Are ALREADY Trying to Cut Disability! Does Positive Thinking Play A Role in Recovery? 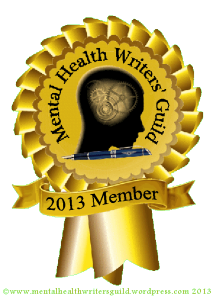 Bipolar Lessons is proud to be a member of the Mental Health Writers' Guild.